Photo: Transport for West Midlands. Transport for West Midlands (TfWM), the operator of the UK’s West Midlands Metro, has released a tender for 18 new battery-powered trams – with the option for a further 32. The new light rail vehicles will be used on the system’s Westside, Eastside, Wednesbury to Dudley to Brierley Hill and Wolverhampton extensions. TfWM said it is looking to appoint suppliers with “tried and tested” tram fleets in operation elsewhere in the world. Currently there are 21 CAF trams from the Urbos 3 platform operating on the regional network. The first of those was retrofitted with batteries in April, removing the need for overhead electrical wires, with the entire fleet set to be retrofitted as part of a rolling programme designed to ensure passenger services remain unaffected. Cllr Roger Lawrence, who is the leader of the City of Wolverhampton Council and transport portfolio holder of TfWM parent organisation West Midlands Combined Authority, said the region is leading the way on sustainable public transport in the UK. He added: “We launched the UK’s first battery-powered tram earlier this year, and now we’re adding more to the network. “We had to wait for the technology to catch up with our ambition – so we will retro-fit all our existing trams with batteries too. A supplier is expected to be awarded the contract in around May 2019 with a two year design and development process to follow. The first of the new trams are expected to be in action by summer 2021. 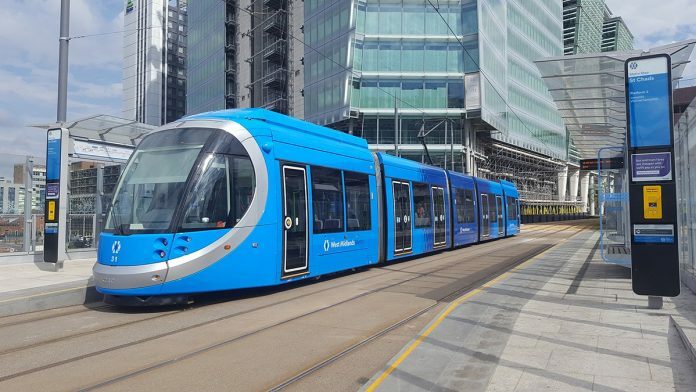 Battery-powered trams could help with city centres that overhead wires is impossible. Aswell to fit in solar panels so trams can be fully charged when the sun beams on the solar panels to generate electricity to power the trams without the need to charge it via overhead charging points which is also useful when trams do stop at various locations ie bus station or train station. And I think it’s the first ever that Birmingham will be having these than other cities in the UK.